Most people nowadays are so caught up with the latest technology and popular trends that enjoying simple living has become strange to them. Many would prefer a life of luxury rather than a modest one. They get this idea that the more expensive things they possess, the more their lives will appear to be perfect to others. What if for just a day, everyone will set aside their gadgets, tone down their lavish lifestyle, and just enjoy the little things this world has to offer instead? There’s actually a day for that – Simplicity Day. Taking place every 12th of July, this unofficial holiday encourages people to appreciate simple living. The celebration reminds each and every one of us to be satisfied with what we have, no matter how small they may be. Without a doubt, we’d be seeing our world in a different and much better perspective if we adopt this attitude. While the rich surround themselves with glamorous things, do you think that deep inside they’re happy and satisfied with their lives? If you’ve noticed, people living in rural areas seem to be more content and happy with their lives than the rich people in the cities. They might not have much, but the smiles on their faces radiate inner joy. This special day was created to honor the late American philosopher, author, and environmentalist Henry David Thoreau. The latter lived a minimal life, believing that simplicity is the key to happiness. He even wrote about his experiences of living two years inside an isolated cabin far from civilization. When we say simple living, we don’t necessarily mean giving away your material possessions. It’s actually more than that. A life of simplicity includes detoxifying your physical, mental, and emotional wellbeing from the complications of life. Leave all your gadgets at home while you go out and enjoy nature. Take a walk in the forest or park and admire the scenic route. 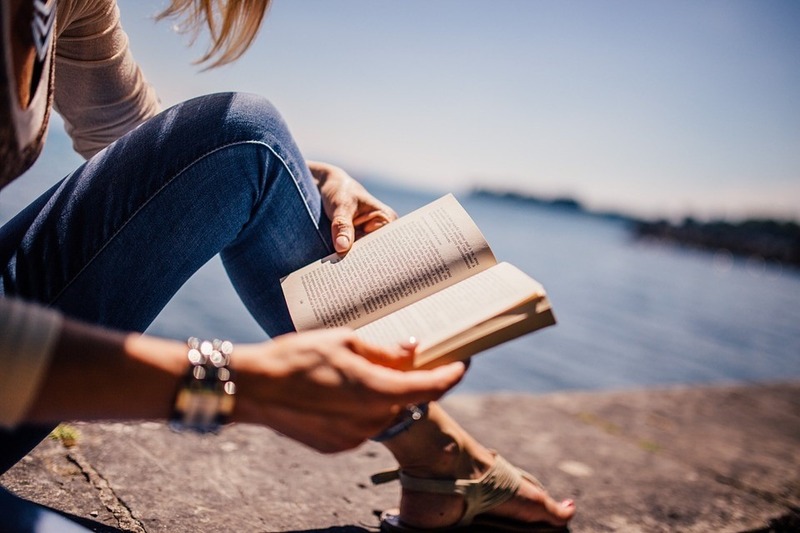 Explore simple new hobbies such as reading and hiking. Take time to reflect. Meditation is a great way to reconnect with oneself. Think how wonderful your life would turn out to be if you cut yourself from toxic things. Get rid of the things that you no longer need. Instead of hoarding them, how about donating them to a charity that supports a cause you believe in? That way, you can make a difference while tidying up your space at the same time! Another wonderful way to celebrate Simplicity Day is by donating an old and unneeded vehicle to Goodwill Car Donations. A gesture as simple as this can greatly impact the lives of disadvantaged individuals and families in your community. We’ll sell the vehicle at auction and use the proceeds to fund critical programs that provide free job training and placement services, mentoring, career development, and disability benefits support among others. These programs benefit persons with disabilities, out-of-school youth, unemployed veterans, and other individuals who are unable to find jobs for lack of skills and qualifications. These disadvantaged individuals develop their full potential through employment and personal growth, enabling them to become responsible and productive citizens. Your car donation can make all these things happen. Donating a vehicle to Goodwill is pretty quick and stress-free. Reaching out to us is the only thing you’ll need to do. Once we have your word, we’ll take care of the rest of the car donation process. In case you’re worried about the towing, don’t be! We’ve teamed up with the best towing companies in the country, and we won’t charge you a single dollar for the service. We’ll even come to you wherever and whenever you wish us to! You either call us at our toll-free 24/7 hotline 866-233-8586 or fill out our online donation form. We haul off your vehicle at a place, date, and time of your choice. We auction it off to generate funds for our programs. You get a tax-deductible sales receipt that you can use for your tax deductions. It’s as easy as that! What are you waiting for? For more information about Goodwill, feel free to visit our FAQs page. You can also contact and send us a message online. To mark Simplicity Day, make a huge change by doing such a simple thing as donating to us your old and unwanted car. Call us now and get started with your car donation!